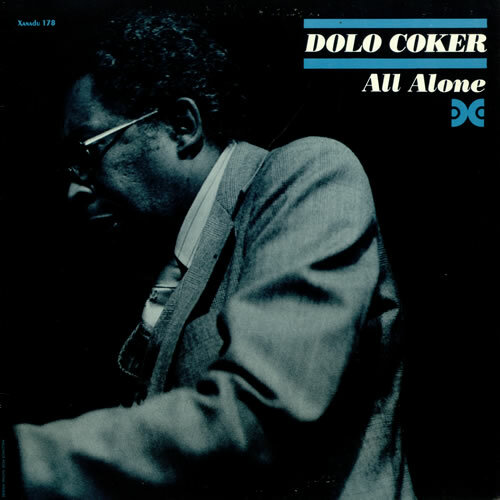 DOLO COKER All Alone (1981 US 8-track LP of a number of original tunes Dolo delights in, recorded solo in 1979, ending on a version of the old chestnut Try A Little Tenderness, pasted picture sleeve. The sleeve shows minimal shelfwear & teh vinyl remains near 'as new' - Still in the original opened shrink! XANADU178).